It seems like the jobs just keep coming to Arizona and that is certainly welcomed news in Tempe. Companies like GoDaddy, Northern Trust, DriveTime Automotive, Reputation.com, Shutterfly and, of course, State Farm are some of the companies hiring and expanding in Tempe. This past week, it was announced that Zenefits is expanding their operations in Tempe at the super-cool 3rd and final Hayden Ferry tower that is currently under construction. They signed a lease for 5 floors of the Class A tower and will occupy 135,000 square feet of space. Zenefits plans to hire 700 people by the end of the year, which will bring their number of employees to 1300 after adding to the 600 employees they already have at their Old Town Scottsdale location. Zenefits will be joined by a lot more new faces along Rio Salado Parkway in the very near future. The new Hayden Ferry Tower is already 92% leased before being completed, and Marina Heights is not far behind with their addition of thousands of jobs. Yes, thousands. Depending on where you get your information, we’ve heard 6000, 8000, 10,000 and 12,000 jobs being added at the massive Marina Heights development. I am not sure exactly how many they are bringing, but I am sure that the area will be forever changed by the tremendous amount of development we are currently seeing. Zenefits will benefit by this awesome location, the large talent pool of employees and the proximity to the airport, Mill Avenue and all that the super-cool 85281 zip code has to offer. 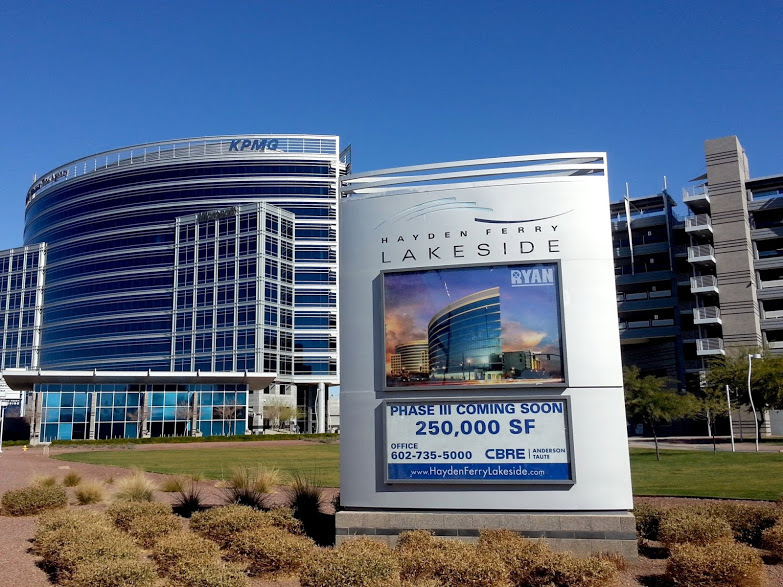 The City of Tempe seems pretty pleased with the amount of new jobs coming to the area. From the Tempe city council to the Chamber of Commerce, there has been a lot of talk about the expansion that is occurring. Of course, we’d be happy to help Mr. Woolway and his crew find new homes for Zenefits employees in the area. We can think of some pretty cool lakeside communities near their offices. Of course, another nice thing about the area is the fact that MANY choices are available within a short commute from their new offices. 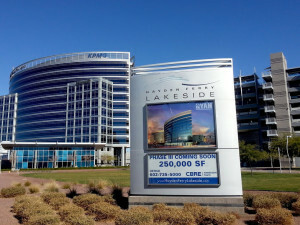 Scottsdale, Phoenix, Mesa, Chandler, Tempe all have a ton of options for people wanting to be close to their shiny new building on Mill and Rio Salado.